Striata launched two new products at FinovateEurope, which took place in London on 01 February 2011; Striata’s next generation interactive PDF bill solution and mobile one click payment. 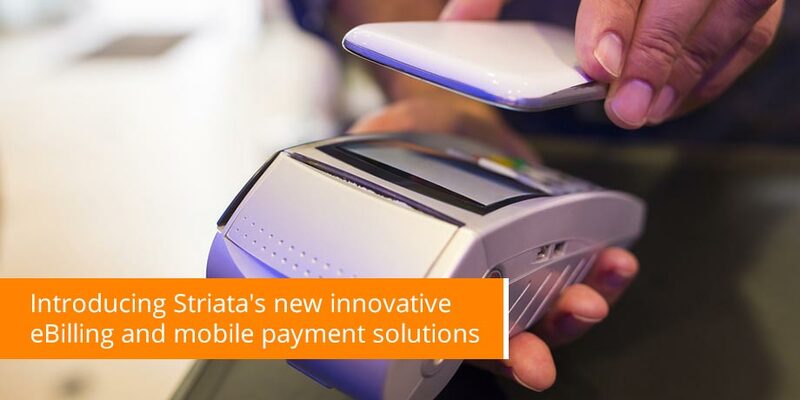 Striata’s new mobile one click payment solution is an industry first, bringing one click eBill payment to the ever growing mobile email market. Furthermore, Striata’s next generation interactive PDF bill solution will enable companies to deliver improved marketing capability, whilst enriching their customers’ email Billing experience. “Most banks and large organizations have developed eBilling solutions without user adoption in mind. Striata’s ‘push’ email billing solution focuses on user adoption and continually delivers record-breaking figures of paper turn-off. Our innovative one click payment solution meets the current and growing demands for mobile payment and our next generation interactive PDF bill solution’s enhanced functionality looks and works like a mini-website inside the PDF. It enables navigation, graphing and sorting of itemized entries and authenticated feedback forms,” explains Michael Wright, CEO, Striata. Striata’s mobile friendly email bill payment solution enables bill recipients to view how much is owed and conveniently make an instant one click payment directly from their mobile phone. Payment can be facilitated from any internet enabled device (e.g. mobile device, webmail, Outlook). With Striata mobile one click payment, there is no need for customers to enter payment details. Payment data is stored with the payment provider, and can only be used to pay a linked bill. “Striata continues to innovate with a focus on customer convenience through ease of use. The Striata next generation interactive PDF Bill solution delivers an added value experience for the end user, enabling navigation, multiple ‘virtual pages’; sorting of data; interactive graphs; grouping of data; animations and videos. This additional functionality assists the biller to drive email billing adoption and paper turn off, which ultimately reduces costs and DSO (days sales outstanding) while delivering a significant ROI,” concludes Wright.